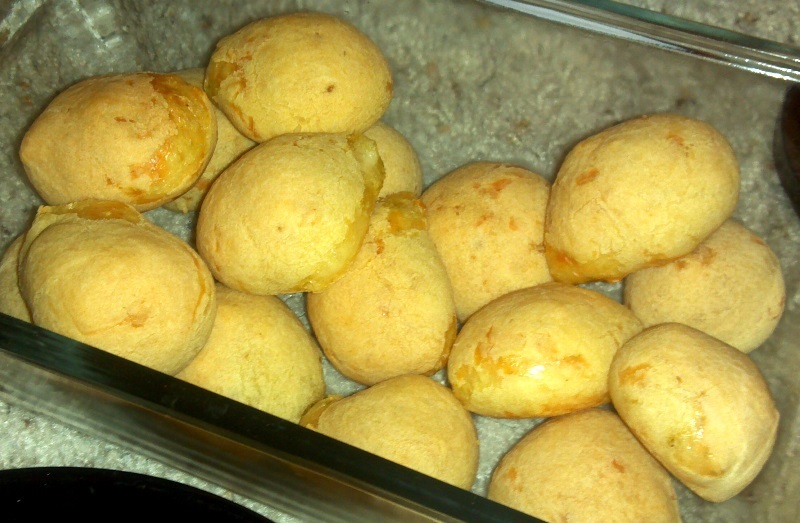 Yes, it is possible to have amazing Brazilian cheese breads when eating vegan. In fact, they almost taste better in flavor! 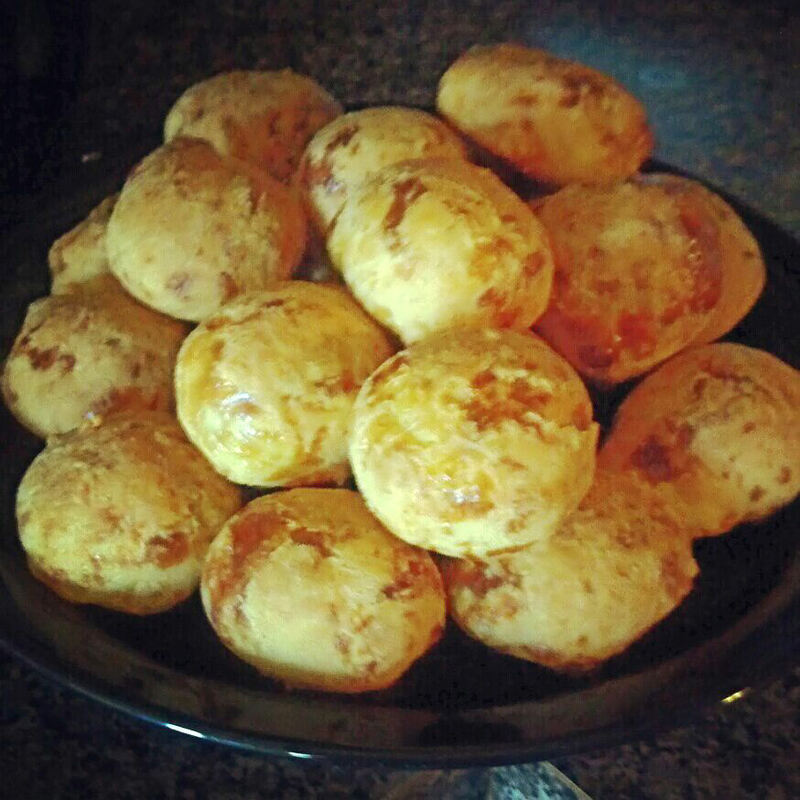 You have no idea how happy I was when a great friend and fellow vegan told me that she found a recipe for vegan pao de queijos. So I have to share it with all of you! – In a small bowl, add tapioca flour, nutritional yeast, salt and baking powder and mix. – In a larger bowl, add the cheese, the 1/3 cup water, and coconut oil. Add mashed potatoes (make sure they are cooled!) and mix together. Then combine the dry ingredients into the larger bowl with the wet, and mix, press, knead, until you get a soft dough. This can take awhile, and the mixture may seem very dry, but keep at it, cause it will eventually form a great dough! 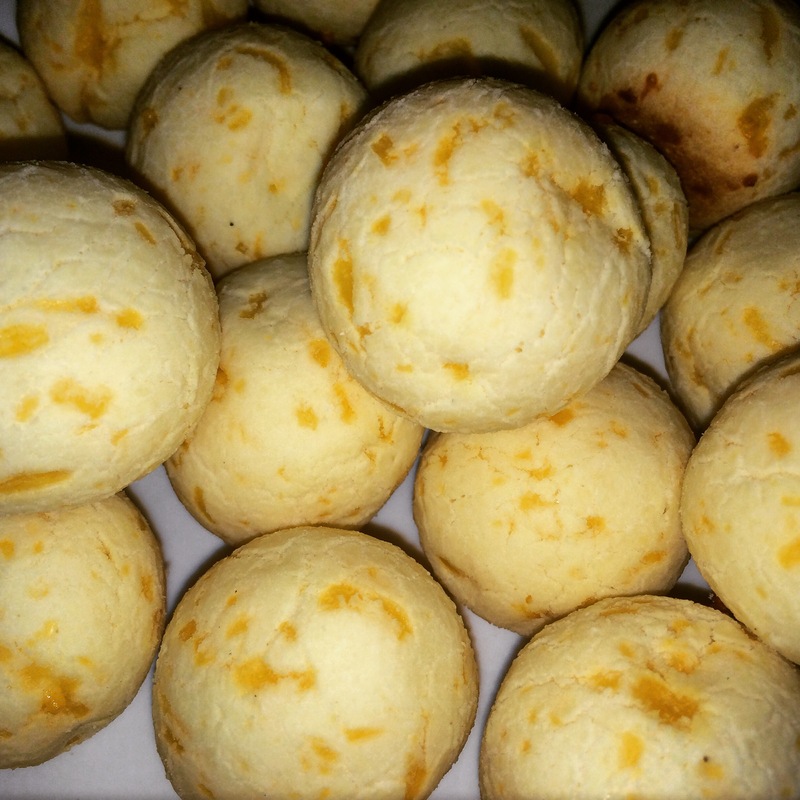 – Once the dough is mixed, roll it into 1-1⁄4-inch balls and transfer to prepared baking sheet. Bake rolls for 30 to 35 minutes until puffed up and lightly golden. Serve hot. If it doesn’t come out right the first time, don’t worry! It took me 2 or three times before they came out perfect! If you have leftover dough, you can save it in the fridge for a couple days. The dough will be harder because of the coconut oil, but as soon as you start kneading it again it will soften up. I can’t wait to try this for my next party. I have a couple vegetarian and vegan friends who I bet will go nuts over these. I’m so excited to try this recipe. I have a couple vegetarian/vegan friends who will go nuts over these. In the past I’ve used this recipe which a friend of mine gave me, I just substituted the non vegan ingredients with vegan friendly alternatives. Your recipe sounds really tasty though. Blend everything together (but the cheese) for 1 min. Add the shredded cheese and blend for 10s in the low blender speed. Put the dough in a mini cup cake pan (about 35 servings). Put on the oven at 350F in convection bake for about 18min.